APM: It’s a privilege to do this interview on the occasion of the publication of your novel, Gideon’s Children. This book is quite a bit different from your previous book, An Irish Experience. You’ve gone from travelogue to novel. What prompted the change? 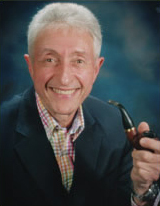 HGF: Thank you, Allen, for the opportunity to connect with readers of The Southern Literary Review and Literary Lawyer, I very much appreciate it. And to answer your question, the novel actually preceded the travelogue in terms of when each was written. In the years before An Irish Experience was published by Inkwater Press in 2007, I wrote four novels, none of which were published. I met my wife, Linda, during the editorial process for An Irish Experience, and after we married the following year she read all of them and felt strongly that Gideon’s Children could be a special book if it was rewritten. By this she meant that when it was originally created it was contemporary, but now had a historical bent and needed to include more background about the tumultuous 1960s in which it was set. I readily agreed, and while the final version is faithful to the original manuscript, I added considerably more of the political events and music, art, and films that made the 1960s distinctive. APM: I presume you’ve drawn on your own experience working in a public defender’s office in rendering this narrative. How much does this book owe to that experience? HGF: In a word, Allen: Everything! Of my four plus years serving as a Deputy Public Defender in Los Angeles County, for three of them I was stationed in the Compton Judicial District which included Compton, Lynwood, the unincorporated area known as Willowbrook, and overflow from Watts. This was during the late 1960s, with the Civil Rights Movement in full bloom. The five public defenders, of which I was one, who staffed our office were young, idealistic, and dedicated to providing full and proper representation to our clients as part and parcel of the greater revolution that was transpiring. The judicial establishment, used to an accommodating plea-bargain arrangement, took umbrage at our efforts, and what resulted was the full-scale courtroom war depicted in Gideon’s Children. It is fiction, but like most historical novels, based on factual events, with characters based on the real people who participated in those events. APM: This is a lawyer-to-lawyer question—do you feel your training and experience as a lawyer has helped or hindered your writing craft? No doubt the plot of your book would not have materialized absent some legal training, but I’m referring to style itself: the way you form sentences, choose words, adjust paragraphs. HGF: I feel that my training and experience as a lawyer helped me as a writer in terms of organizing my novels, in particular G.C., which is large and multi-layered. However, as to my style itself, I think my style abandons the influence of my legal training. I believe that my writing style is properly characterized as lyrical, which derives from the fact that over the years I have written approximately 350 poems. By that I mean my style is fluid and highly descriptive. This leads to longer, flowing sentences that contain considerable detail, and often with adjectives and adverbs that evoke emotion. What I’m trying to do is paint as complete a picture as possible for the reader, so that he or she cannot only observe what’s transpiring, but can almost participate. APM: Your novel is in many ways political, but the issues it undertakes would seem to be as urgent and important and dramatic in the true stories of actual people and events. Do you feel that there’s something lost in a fictionalized account of this era and these issues? Perhaps you feel there’s something gained. HGF: Allen, as you know, because of tragic events like Ferguson, there is a growing discussion of how to reform our criminal justice system. My fervent hope is that G.C. can contribute to enlarging that discussion by reaching the public at large. Now that public is leading busy lives, filled with work, children, with their crowded schedules, and social activities with friends and the extended family. So how best to capture their attention becomes the question, and I believe that the best way to do so is to entertain them with a fascinating drama that also educates them about vitally important issues while they’re being entertained. In fact, I read in the newspaper the other day of a relatively new word to describe this concept, called edutainment. There are numerous excellent articles and non-fiction books dealing with the serious problems in all phases of our criminal justice system, and while they are certainly contributing to the growing discussion of how important it is for America to remedy the social injustices that exist, I felt that they are not reaching the hypothetical average man and woman. On the other hand, I reasoned, a fascinating drama, a Rocky-in-the-courtroom, knockdown-drag-out battle would appeal to them, and educate them about the serious issues our criminal justice system faces, all while these readers were being entertained. APM: Where do you see the criminal justice system continuing to fail us or to fall short? HGF: As designed, our criminal justice system is a work of beauty, based on the concept of due process that embodies fairness and equality. However, this system is run by human beings, and unless close and careful vigilance is maintained eternally, serious problems can and do arise. It is no secret that despite the progress that has been achieved, America has a problem with race. And compounding that problem for citizens of all colors is the issue of poverty. As the tragic events in Ferguson illustrate, our criminal justice system needs to spawn ongoing programs designed to promote the necessary understanding that leads to solid relationships between police departments and the communities they serve, including but not limited to departments that reflect a racial balance. Next, the overwhelming caseloads in our criminal courts must be reduced by decriminalizing minor drug crimes, and having prosecutors exercise more discretion with respect to crimes such as being intoxicated in a public place. This would reduce the burden on courts and allow more careful consideration of serious cases, free up the police to deal with major crimes, and begin to reduce the caseload for overworked Public Defenders. In addition, as Governor Cuomo asked the New York State legislature for more funding to increase the number of public defenders, so must other states in order to ensure that caseloads drop to a level that allows each public defender to offer a full and proper handling of each and every case he or she is assigned. And last but not least, our jails and prisons are in serious need of reform. Guards must be better trained; when brutality occurs, perpetrators must be punished; educational and vocational programs must be bolstered, so that, once released, prisoners can rejoin our society as productive members. This effort to reintegrate former convicts and reduce the rate of recidivism naturally requires programs to educate employers so that having committed a crime does not automatically eliminate them from being employed. I would add that solutions to the problems in all phases of the criminal justice system have numerous facets which I have not addressed. Instead, I have confined myself to a discussion of major issues and possible solutions that I feel are compatible for interview purposes. APM: Does Gideon’s Children speak to any of these current issues? HGF: Yes, Allen, it most emphatically addresses all of the above issues, except jails and prison reform. In fact, with our individual constitutional rights being eroded by the Patriot Act, the No-Fly Rule, and unrestricted government spying at all levels, and the tragic events in Ferguson, Staten Island, Cleveland, and Los Angeles propelling a growing discussion of civil rights, the relevancy of G.C. was never higher. APM: Gideon’s Children is not a thin book. It must have taken quite a bit of time to write. Could you tell us about that process? HGF: In answering your earlier question, I explained that I met my wife, Linda, during the editorial process for An Irish Experience, and that after we were married she encouraged me to rewrite the manuscript of G.C., which had been created many years earlier. Linda’s suggestion very much appealed to me for two reasons. First, I believed that G.C. carried an important message about the value of our individual constitutional rights, social justice, and the exercise of power. And secondly, I felt that over the years I had polished my ability to write by having written three other novels, a considerable amount of poetry, and An Irish Experience. So, with the knowledge that G.C.’s setting in the 1960s now made it a historical novel, thus requiring additional background about the tumultuous era, and Linda’s further suggestion that the love interest of the book’s lead character needed to be fleshed out, I began the rewrite. My first step was to research each year of the 1960s, making notes on politics, music, art, films, and sports. Then, aware of the fact that the original manuscript was quite large at 941 pages, I determined that the chapters which continued on beyond the happenings in the fictional ghetto courthouse in Solina were not essential, so I deleted them to provide room to interweave the material about the 1960s without further lengthening G.C. Next, I sketched a loose outline of each section of the novel, and placed various parts of my research inside it chronologically, fully aware that as I approached each chapter or group of chapters on the rewrite that I would fill in my outline. Finally, I sat down in front of my computer and began rewriting G.C. by retyping it line by line and page by page, sometimes making changes to words, or cutting or enlarging descriptions of places and people, altering punctuation, and slowly but steadily integrating my research notes to provide a fuller background of the era. A large number of the corrections were accomplished directly as I typed, but when new material was added I would first write it out longhand in pencil and then make additional additions or corrections on my computer screen. This process was consistent with the manner in which I have always written, as all of my creations originally find their way out of me in longhand. I then revise by typing what I have penciled out, now using the word processor instead of a typewriter. My work schedule was basically seven hours a day, six days a week, with rewriting happening from eight in the morning to noon, and one to three o’clock in the early afternoon. Later, usually from ten to eleven o’clock at night, I would then read what had been written earlier, making in pencil any further changes I felt necessary, which I would then retype the following morning before moving forward to new material. Following this schedule, with cumulative breaks totaling approximately three months for vacations, the rewrite took two and three-quarter years. When it was finally complete, Linda then read and reread the manuscript, making notes of changes and corrections she wanted, which led to us working together for another two months approximately to incorporate the vast majority, but not all, of her suggestions. So, Allen, you’re right, it did take quite a bit of time, indeed, for G.C. to become what it is today. And my heartfelt hope is that readers will find G.C. both engaging and informative about crucial issues our society faces today in the areas of civil rights and the criminal justice system. APM: Do you still travel regularly? HGF: Yes, I do. In the past several years, Linda and I have visited England, Scotland, Ireland, and Wales, as well as toured China, Canada, and parts of Europe with groups. In late April of this year, we are traveling to France to visit Paris and then join Linda’s parents for a riverboat cruise from Paris to Normandy and back. APM: Are you still involved in the law, or have you left that world behind? HGF: I am no longer directly involved, in that I haven’t actively practiced law for many years. However, because I have never lost my passion for pursuing social justice, I have devoted much time to following civil rights issues, including reading various appellate court decisions dealing with cases in this area. APM: Do you think good writing can be taught? HGF: What constitutes good writing, like all art, is highly subjective in my opinion. I think that while writing programs at all levels can help one polish his or her inherent skills, the basic core must be there and cannot be taught. APM: One last question, and I ask this with Gideon’s Children in mind: Are you optimistic or pessimistic about the future of this country? HGF: That’s a very tough question, Allen. By nature, I am an idealist and an optimist. And though these core qualities have been tempered by experience, I remain cautiously optimistic about the future of our country. I arrived at this opinion by looking at our history. We began poorly by slaughtering the Native Americans and stealing their lands, and almost simultaneously importing the heinous institution of slavery. However, once founded as a nation, we created a democracy that slowly but surely, and admittedly imperfectly, overcame slavery and the corrupt oligarchies of the Gilded Age to produce the freest and most prosperous society the world has ever known. Do we face serious problems that threaten to undermine our society? Yes, indeed, both internally and externally. At home, the issue of race continues to bedevil us despite the real progress we have made, evidenced by the desegregation of schools and the Civil Rights Acts of 1964 and 1965. As recent events in Ferguson, Staten Island, Cleveland, and Los Angeles illustrate, fifty years after the accomplishments of the Civil Rights Movement we still have much room for improvement. Then, too, the issues of poverty, income inequality, immigration, and equality for women and the gay community must be addressed, as well as the need to bolster our educational system and our infrastructure. And that’s just at home. Externally, we are threatened by the forces who falsely use religion as a basis for terrorism, as well as the serious problems of overpopulation and protecting the Earth’s environment. In the face of all these serious problems, my cautious optimism is derived from the observation that these problems were created by human beings and, therefore, can be solved if the will to do so is summoned. Overall, admittedly, the future looks bleak. But at home, and with respect to the outside world, the picture was also bleak in the 1930s and the early 1940s in the face of the Great Depression and the barbaric Nazi war machine, and we overcame. So, in a far more complex and interrelated world, my cautious hope is that in America we will once again place emphasis on what unites us, instead of upon what divides us, and together make significant progress toward solving our internal problems, thereby setting an example that allows us to argue to our fellow nations to join us in solving issues that threaten all nations. Foolishly idealistic, my cautious optimism? Well, even if I supplement cautious with the adverb very, I can still hear the skeptics’ and cynics’ loud laughter, that’s for sure. But what other choice do we have, other than to summon the better angels of our nature and try to be the change we want to see in our country and our world? APM: Thanks, Howard. Those are great closing remarks.